In this week's Abundance Insider: Climbing robotic plants, a diabetes breakthrough, and a bigger-than Woodstock virtual concert in Fortnite. P.S. Send any tips to our team by clicking here, and send your friends and family to this link to subscribe to Abundance Insider. P.P.S. Want to learn more about exponential technologies and hone in on your MTP/ Moonshot? Abundance Digital includes 100+ hours of course work and video archives for entrepreneurs, like you. Keep up to date on exponential news and get feedback on your boldest ideas from an experienced, supportive community. Click here to learn more and sign up. What it is: Using synthetic liquid resin and CT-like scanning technologies, scientists at the University of California, Berkeley have developed a 3D printer that can produce replicas of nearly any scanned object in record time. Nicknamed “the Replicator” a la Star Trek, the printer draws largely upon CT scan-like technology, reverse engineering multiple 2D images of a 3D model at various angles. This sequence of computed images is then projected onto a rotating cylinder of liquid resin that selectively solidifies when exposed to given thresholds of patterned light. 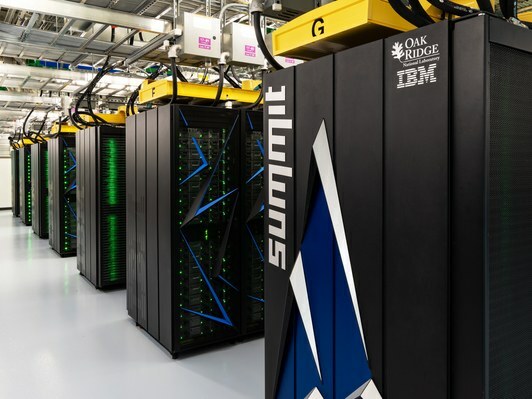 What it is: Summit, the supercomputer built by Oak Ridge National Labs, recently became the fastest supercomputer to run the TensorFlow AI system. The supercomputer, about the size of two tennis courts, leveraged its 27,000 GPUs to run at speeds exceeding an exaflop (a billion billion operations per second). Its mission is to tackle climate change by predicting weather patterns and events up to 100 years in advance. What it is: In an excellent example of biomimicry, italian researchers replicated the unique hydraulic actuation system that climbing plants like vines use to grow and climb. Essentially, plants deploy different concentrations of the molecule cytosol to cause water to flow to a desired location in the plant’s structure (osmosis). As the water flows, the plant’s structure changes shape. The researchers replicated this phenomenon in their lab-made “tendrils" by using plastic tubing, a 1.3V battery, and a solution of small ions. Applying a voltage caused the ions in the solution to behave like cytosol and enabled the plants to curl and grow. While roboticists have implemented osmotic actuation before, this development marks the first time that the soft robot can reset after its curl and climb. What it is: Materials scientists from Northwestern University recently developed an oil-based coating for metals that self-repairs small chips and scratches within seconds. Almost everything that we build has a coating to protect the core structural material from environmental damage. Metals in particular are highly susceptible to corrosion (for example, rusting steel), and once chipped, scratched, or scrapped, the metal directly underneath the damaged coating weakens. In a robust demonstration, the researchers scratched the same spot 200 times in a row, each time showing that the coating returned to its undamaged state within seconds. What it is: In a new feat for type 1 (T1) diabetes research, scientists at UC San Francisco have generated fully mature insulin-producing cells in the lab from human stem cells. 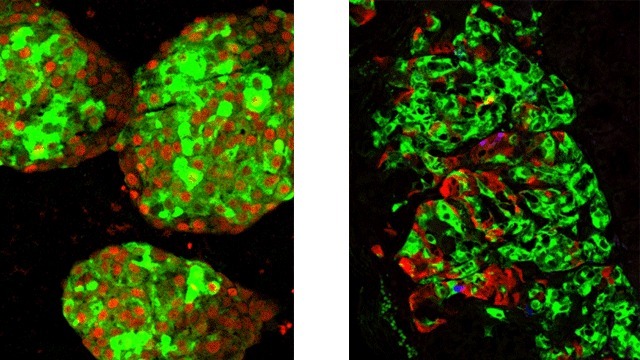 Given T1 diabetes’ destruction of insulin-producing beta cells in the pancreas, researchers have long attempted (in vain) to produce lab-grown versions of these cells. However, only now has a critical facet of beta cell maturation been discovered: a process by which cells separate from the pancreas to form islets. By replicating this process artificially, UCSF’s team found that the cells’ development suddenly accelerated. Most importantly, however, once transplanted into healthy mice, these lab-grown “islets” yielded fully functional cells that produced insulin in response to blood sugar. What it is: Fortnite Dance Fortnite, the world’s most popular massively multiplayer online game (MMOG), recently launched a shared experience centered on a 10-minute mini-set from electronic artist DJ Marshmello. Leveraging lessons from past gamewide events like its rocket launch, Epic Games teased the show with virtual posters, and even displayed visuals of the stage construction. An estimated 10 million concurrent users viewed the concert, with players emoting and dancing throughout. Epic monetized the event with in-game purchases of special skins and other virtual items. This email is a briefing of the week's most compelling, abundance-enabling tech developments, curated by Marissa Brassfield in preparation for Abundance 360. Read more about A360 below. At Abundance 360, Peter's 360-person executive mastermind, we teach the metatrends, implications and unfair advantages for entrepreneurs enabled by breakthroughs like those featured above. We're looking for CEOs and entrepreneurs who want to change the world. The program is highly selective. If you'd like to be considered, apply here. Abundance Digital is Peter’s online educational portal and community of abundance-minded entrepreneurs. You’ll find weekly video updates from Peter, a curated newsfeed of exponential news, and a place to share your bold ideas. Click here to learn more and sign up.